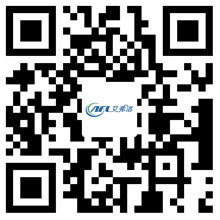 EC Fans Can Be Provided in Different Configurations - Hangzhou Airflow Electric Appliances Co.,Ltd. EC fan efficiency is up to 90%, more quiet, can be controlled by the digital fan controller. EC represents an electronic commutation - which means it is a brushless DC motor - making it brushless. The EC fan uses an optimized plastic flow axial impeller dedicated to reducing vibration, buzzing and humming. This state-of-the-art technology makes the fan more efficient at even half the speed, and it will use less than half the power of the AC motor. The EC motor operates on a DC voltage - but using a normal AC power source because the EC motor is internally converted to voltage, so large transformers are not required, which is required when running DC motors in AC applications. Many new devices have incorporated EC fans into their high voltage equipment. EC fans can be provided in different configurations, including rearward bending centrifugal fans. EC fans and drives are at the forefront of electronic commutation (EC) technology and have developed a comprehensive range of energy-saving motors, EC axial fans and electric impellers that can be used in a wide range of industries. Technically advanced high-performance, high-efficiency motor and fan series offers 21st-century solutions for high-performance, high-efficiency companies that combine full-featured, variable speed control and optimal power consumption for all customer applications together. EC fan is the use of semiconductor switching devices to achieve electronic commutation, that is, with electronic switching devices instead of the traditional contact commutator and brush. It has the advantages of high reliability, no change of spark, low mechanical noise, widely used in high-grade recording blocks, video recorders, electronic equipment and automated office equipment. EC fan motor is a synchronous motor, that is to say the motor rotor speed by the motor stator rotation magnetic field speed and the number of rotor (p) impact. In the case of a fixed number of rotors, changing the frequency of the stator's rotating magnetic field can change the rotational speed of the rotor.